Big Time Rush Backstage Pass brings the music of your favorite band to life. Use your stylus to keep up with the beat of the music and get Big Time Scores. Tap and slide the marks on the screen to unlock more songs and locations. With all their top hits including Big Night Windows Down Boyfriend and Elevate you won t be able to put down your Nintendo DS. 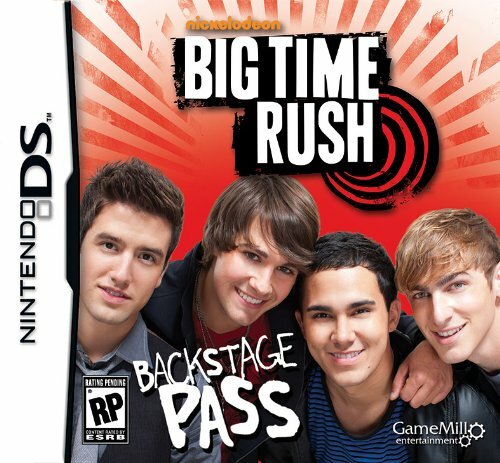 Big Time Rush Backstage Pass for Nintendo DS.